Your team is trapped in Wonderland! 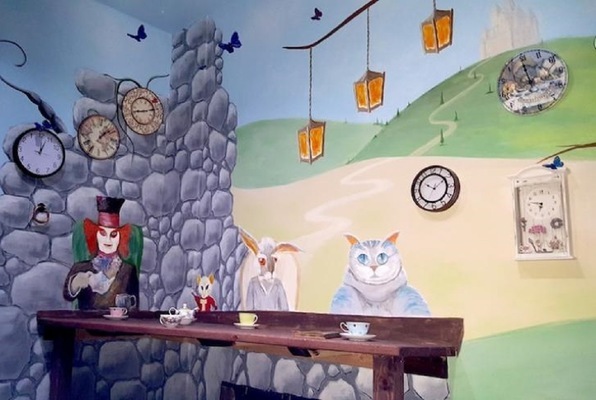 Alice is nowhere to be seen, but she left you all the necessary clues to find a way back to your reality. Hurry up! In an hour the door between your worlds closes. This was my first experience at an escape room. I liked the Alice in Wonderland theme. We had fun but didn't escape the room in time! I'd come back to try the other themes!